Nothing Makes An Author Happier Than A GREAT Review! I subscribe to several sites where I find important information and help as an author, including A Writer’s Path and The Book Review Directory. What a pleasant surprise to see my book, TERRA’S CALL, featured today! Reviews mean several things to an author. We know someone has read our book, and we’re happy that they liked it, or we can learn from their critique if they don’t. 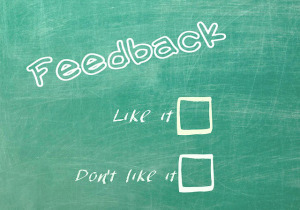 Reviews can help move a book up the charts, and good reviews can help readers decide to purchase and read it. It means a lot to me, and to other authors, when someone takes the time to write a review. Thank you, Kristine Kohut, for this one! READ THE REST OF IT HERE!!! Triton’s Call is LIVE, and we’re celebrating with another giveaway! The last Kindle Fire giveaway was such a success, I decided to do it again. You have thirty days from today, October 30, 2017, to enter to win a Kindle Fire 7 tablet with Alexa. Click here to enter today! Don’t wait! You can earn more entries once you’ve registered on the website, and, if you aren’t on my newsletter list, you will be once you enter! If you want to order Triton’s Call, click here to visit my website. Watch the trailer, order the book, and check out my other books! Nanowrimo starts tomorrow. That’s National Novel Writing Month, where those of us who sign up for the challenge will write 50,000 words in 30 days. I honestly did not think it could be done, and signed up the first time just to see how far I’d get. I wrote the first draft of Terra’s Call that time — 50,000 words of it. Triton’s Call was born during Camp Nanowrimo in April, 2016. Again, the challenge was the same, and the first 50,000 words of the first draft happened. I couldn’t stop there, so that November, I wrote the first draft of Voice of Viracocha, which should be released before Christmas! How could I possibly stop now? 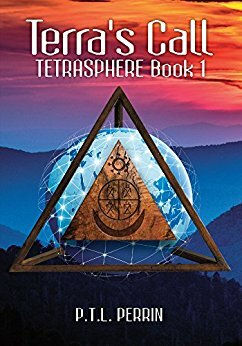 I have one more book to write to complete the TETRASPHERE series, and this is the month I hope to get the first draft done. I’ll ask you to pray for me, as I’ll be praying for everyone who’s taking this challenge. It is not easy, especially during the Holiday season. I thank God for my Daughter-In-Law who will be doing Thanksgiving this year, and for her other Mother-In-Law and everyone else who is bringing goodies for the celebration. We have so much to be thankful for. Now, go enter for your chance to win that Kindle, and check out my other books! Terra’s Call is LIVE, and We’re Celebrating! “So who wants to win something?! P.T.L. Perrin and I have partnered up to give away a $50 Amazon gift card to one lucky Giveaway Guy reader. CLICK HERE to read more and fill out the form. The contest runs until October 12, 2017. Wishing you the BEST! ‘Stay calm’ I told myself, as the frantic newscasters built a doomsday scenario, minute-by-minute, for days ahead of the storm. “Stay calm,” they told us, as they showed pictures of empty grocery shelves and cars lined up for miles at the gas pumps. “Stay calm,” they said, while announcing evacuation orders, one after the other, during the perfect days before the storm, when people were still heading to the beach. The TV stayed tuned to the Weather Channel, and when we flipped stations to get anything other than hurricane news, all the other stations broadcast nothing but incessant talk about the hurricane. Don’t get me wrong. It’s a good thing. Those folks at the local stations live here with their families. They care. They do an amazing job. We didn’t leave, and when it hit, we had my almost 96 year-old mother-in-law with us, along with my sister and adopted sister from the part of the state that was hunkered down for a direct hit, where Category 5 winds and a fifteen-foot storm surge were expected. Our family still in Naples were in secure buildings, in professional care. We prayed and worried, but knew they would be better off there. A hurricane is like a roller coaster. The ride to the top is pure anticipation. In my case, I repeatedly tell myself, “You idiot! What were you thinking?” And then there’s the pause at the top of a mile-long vertical drop. At that point, I know I’m committed, and it’s time to relax and enjoy the ride. My sister brought her adorable little dog who, naturally, had to go outside — storm or no storm. That’s when I realized once again that palm trees are made to dance in impossibly strong winds, and little dogs will not pee in them. I, however, enjoyed being out in it, if only for a few minutes, dancing with the palms. We survived with only the loss of my beloved ficus tree. It was cut back to the nub, the sound of killer chainsaws grating on my nerves. It will grow again. I grieve the islands and the Florida keys, wondering how they will ever come back from this devastation. Yet, come back, they will. Like my ficus, the life is there, the strength is there, and in the sun and tropical breezes, we’ll watch it grow and do what we can to help. Texas will recover from Harvey. The Caribbean will recover from Irma. Where there is life, there is hope, and God is with us all. Emotional pain can be as sharp and bitter as physical pain, and no one gets through life without experiencing it. Is it possible to be happy while you’re hurting? Is happiness a result of circumstances, or is it a choice? I choose happiness. There. I’ve said it. I choose it. So now what? Does it follow that my choice alone will make me happy? Or must I take action to make my choice a reality in my life? Think about this. You might choose to be wealthy or live a long, healthy life. You might choose to be a doctor, lawyer, policeman or (gulp) writer. You choice is the first step in a process. To reach your goal, you must take the next step, and the next. This article appeared on my news feed this morning, and my happiness gauge jumped when I read it. I hope yours does, too!